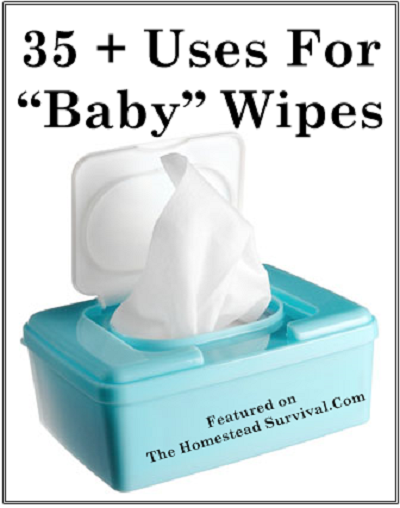 Here is a fantastic list of 35+ creative uses for baby wipes. Now this is a product that almost anyone with young toddlers or babies has on hand. But you can use them for a lot more than just cleaning your precious child. Have a look through this list and see some of these grea ideas for yourslef.